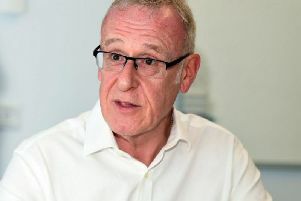 WEST Yorkshire Police’s failure to recruit sufficient numbers of new officers is having a “real impact” on 999 response times, according to a Leeds City councillor. Coun Amanda Carter, (Cons/Calverley & Farsley) said one of her constituents recently had to wait four hours after dialling 999 over a serious case involving the safeguarding of a child. Coun Carter, who sits on the West Yorkshire Police and Crime Panel, said: “The force is set to recruit 600 officers this year, but that isn’t enough to replace those who have retired over the past few years. Mark Burns-Williamson, West Yorkshire’s Police and Crime Commissioner said: “Severe Government budget cuts have resulted in West Yorkshire Police’s budget being slashed by £140m since 2010 and saw police numbers drop by around 2,000, this has inevitably had a huge impact.